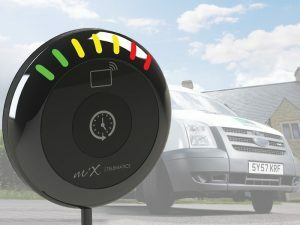 MiX Telematics is to hold a one-day safety roadshow that will showcase its new DriveMate solution for company car and LCV drivers. The event, which is aimed at UK service, delivery, utility, haulage and passenger transport operators, takes place at Doncaster Racecourse between 10:00 and 16:00 on Thursday 20 October 2016 and will show the benefits of the new DriveMate tool, which features driver behaviour feedback, identity badge reader and private and business mileage logging. The event will also see a number of key transport industry suppliers present their safety-related products and services alongside MiX Telematics’ range. Featured partners will include the BVRLA, the Freight Transport Association, Mobileye, Sygic, the Chartered Institute of Logistics and Transport and OBS Logistics. “This unique event brings together many of the leading players within the field of automotive safety,” said Marc Trollet, managing director for MiX Telematics Europe. “As such, a wealth of cutting-edge technology will be demonstrated and a mass of essential safety-related information will be imparted on the day, making this an unmissable event for business owners and fleet managers alike.